Note: this blog post was originally published on our career advice column on Inside Higher Ed. Alex Hanna is an assistant professor in the Institute of Communication, Culture, Information and Technology and the Faculty of Information at the University of Toronto. Her research focuses on how new and social media have changed social movement mobilization and political participation more generally. 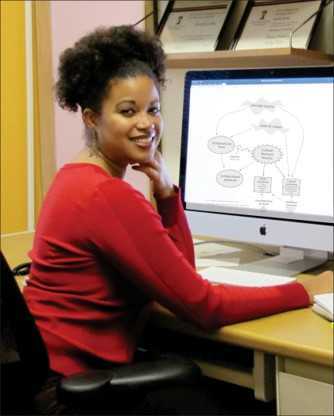 Methodologically, she is interested in computational social science, textual analysis and social network analysis. This article will also appear in Reflections on Academic Lives: Identities, Struggles and Triumphs in Graduate School and Beyond, a collection of essays to be published by Palgrave Macmillan in 2017. In September 2016, Alex was interviewed on Feminist Killjoys PhD podcast about her experiences on the academic job market as a trans woman. Being on the academic job market can be traumatizing for a job candidate. With the current disparity between Ph.D. holders and available jobs, the casualization of academic labor, and the shrinking of public university budgets, what was once a field of possibility has become one of rabid competition. An ideal job candidate is supposed to have a track record of publishing in top academic journals, a broad range of teaching experience and a commitment to university service. And in a field with so many candidates, it is — as Karen Kelsky of The Professor Is In said in her self-titled 2015 book — a buyer’s market. Any slight edge may mean the difference between getting a campus visit or never hearing back. The uncertainty of a highly competitive market makes anxiety, depression, stress and other mental and physical health problems commonplace for job candidates. Transgender people on the market have to negotiate a host of additional difficulties, even before getting a campus visit and interview. Obviously, I cannot speak for all transgender folks — I identify as transfeminine and a trans woman, am a person of color, and transitioned during graduate school. As a whole, transgender people are drastically underrepresented within academe — a fact that was apparent to me during the last meeting of the American Sociological Association. Although the theme of the conference was “Sexualities,” only a handful of transgender people were in attendance, mostly transmasculine and trans men. In fact, as far as I could tell, I was the only transfeminine person or trans woman in attendance. I had an overall positive experience, but in disciplines that don’t talk about gender explicitly, the lack of transgender representation may be an even starker problem. The difficulties of applying to academic jobs as a transgender person begin before submitting any applications. The first question is whether you should even disclose your transgender status. Parts of your application may need to be explained, such as the disparity between the name that you use on an application and the name under which you have published. Outing yourself may lead to subtle or even outright discrimination, but because those negotiations are made behind closed doors, you have no way of knowing for sure. If you do choose to disclose your transness, you have to decide how to do it. There aren’t many places on the cover letter to talk about gender and sexuality. A supportive adviser can do so in recommendation letters, but an unsupportive adviser may misgender you just the same. Recommenders also have to use the correct pronouns, and therefore you can be at the mercy of ignorant or hostile writers. The experience of being transgender on a campus visit can go south quickly. Such a visit requires you to be professional at all times, and keeping up your emotional guard to gender issues makes it doubly trying. Bathrooms pose a glaring problem — although this is improving, it is still fairly rare for academic buildings to have unisex or gender-neutral facilities. Professional clothing can be a problem for more clearly expressing gender, and the process of getting those clothes can be stressful in itself. In all interpersonal interactions, misgendering is continual fear, including one-on-ones, a group meal or, in the worse case, when a senior faculty member introduces you to a room full of people with the wrong pronouns. I recently had a nightmare interview in a sociology department at a college in a major metropolitan city in the Northeast. At the job talk, the (older, white male) search chair — let’s call him George — introduced me with the wrong pronouns, which meant the rest of the audience took his lead. He knew my correct pronouns, but he didn’t seem to be able to get them right at all. The situation came to a head at dinner, attended by George and three women faculty members. His misgendering was constant, and the other faculty members were repeating it. It annoyed me less that he was consistent in doing it but that the other faculty members were acquiescent in it. I remember at one point, he said something to which he wanted to engender a big response or laugh but managed to misgender me in the statement. While everyone else laughed, I just looked down and felt humiliated. I considered not returning to the second day of the interview, but decided to soldier on. That evening I wrote an email to one of the faculty members at the dinner, with whom I felt more free to speak — let’s call her Charlie — about all the misgendering, and how it was disrespectful and degrading. The next morning, Charlie, George and I sat in George’s office, where he offered an apology and said something about needing training on transgender issues. George and I then went to another meeting with the head of another department. Upon entry, that person asked, “How’s the visit going?” to which George responded, “Oh, not too well,” and then we had to rehash all that had happened. At that point, it just felt like the obsession with my transness and George’s inability to get my pronouns right had become the focal point of my visit. After George came back from taking a phone call, I turned to him and said I couldn’t continue the interview and wanted to go back to the hotel. Although this is a worst-case scenario, it displays many of the tensions and emotional exhaustions of being transgender on the market. How does this get better? A tenure-track faculty interview, even though potentially anxiety producing and traumatic, is still a relatively privileged situation. Before getting there, there are significant barriers to entering the higher education pipeline, including proper K-12 education, parental well-being and income, and adequate housing. According to a survey of transgender people commissioned by the National Center for Transgender Equality, 78 percent of respondents had been harassed in K-12 settings, 57 percent had experienced significant family rejection and 19 percent had been reported experiencing homelessness at some point in their lives because of their gender identity. In addition, 41 percent of respondents have attempted suicide. Nearly all those numbers are worse when considering people of color, especially black transgender people. So things for transgender folks in academe will probably get better along with larger movements for racial, educational and housing justice. For transgender people currently in academe, strategies for coping in other spheres of life go double when it comes to the job market. Having a good support system is vital. Find other queer and trans academics going through the job-seeking process. In addition, be mentally prepared for worst-case situations. Finally, try to find allies among the faculty and on the search committee. As a last resort, it’s OK to just leave. Seriously — if the environment is toxic at a two-day campus visit, then it’s no place you want to work.